Yulia Lobova-Harfouch is a high-fashion model who has worked with the biggest fashion brands in New York, London, Milan and Paris. She has walked on the runways of Alexander McQueen, Dries Van Noten, Yohji Yamamoto, Lacoste, Kenzo, Rodarte, Chanel, Emanuel Ungaro, Jil Sander, Simon Rocha, Junya Watanabe and Jean Franco Ferre shows. In 2011, Vogue Paris listed Yulia as one of the best models from Russia after opening the Hermes show that year. Straight afterward the famous photographer, Willy Vanderperre shot her for W magazine but you can also find her on the pages of L’Officiel, Vogue, Harper’s Bazaar, and Elle magazines. Yulia studied fashion design and style at the International Fashion University (ESMODE) in Paris in 2013. Recently, she is a professional freelance stylist. 08:15 Yulia’s Apartment She starts her day early by doing some online research for styles on her next shoot. She wants to always be prepared. 10:15 Saint Ouen/Rue Des Rosiers Yulia steps out of her apartment/office into the trendy market at Saint Ouen to look for vintage items that she might be able to use in the shoot. 10:30 Saint Ouen She finally made a stop in a quaint vintage shop to pick up the materials she has previously ordered. Yulia also takes a look at other items such as vintage Chanel jewelry and clothes. 11:45 Restaurant Ma Cocotte Yulia takes a quick lunch at one of her favorite restaurants, Ma Cocotte, at Saint Ouen. The long lines shows how famous this place is and people don’t mind waiting and falling in line to dine in. 12:50 Les Merveilles de Babellou Yulia makes another pick-up of a couture dress from a designer in Serbia. The flea market is a good way to find vintage clothes. It inspires her styling with the richness of culture and history that she can find in the place. 13:40 De Laurentis Paris Checks out more vintage clothes for styling the photo shoot. 16:50 Yulia’s Apartment After a whole day looking through the vintage stores, Yulia goes back to her apartment to mix and match all the items she got. She also gets a chance to show to us her lifestyle and design aesthetic when it comes to styling not just for clothes but also her place. 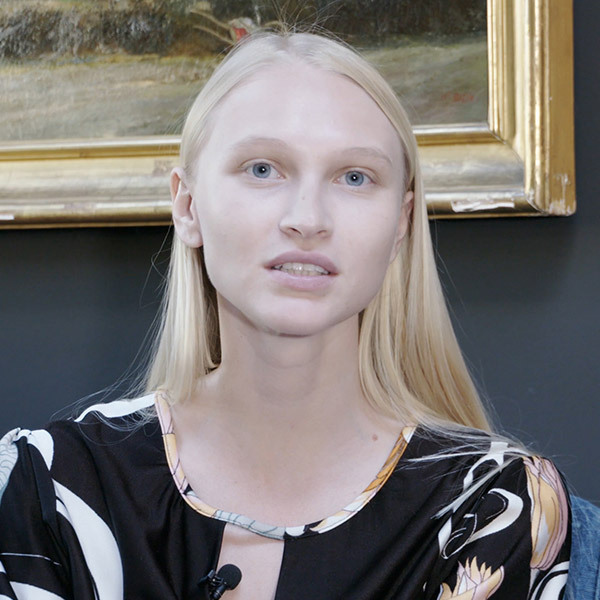 17:40 3 Rue Meyerbeer – Women Management Paris Yulia drops by her modeling agency, Women Management Paris, to do some composites and check upcoming works with her booker, Malek Baouche. 18:25 Yulia’s Apartment Yulia gets ready for her presentation. She prepares the looks she is proposing to Elle China for the feature. The Elle China fashion editor, Fangfang C, with photographer, Edoardo de Ruggiero, drops for a test shoot showing her style for consideration in their future bookings. Looks like the clients are impressed. 22:45 Arc de Triomphe Yulia ends with a tour at Arc de Triomphe, duly representing the success she has in this fruitful day.